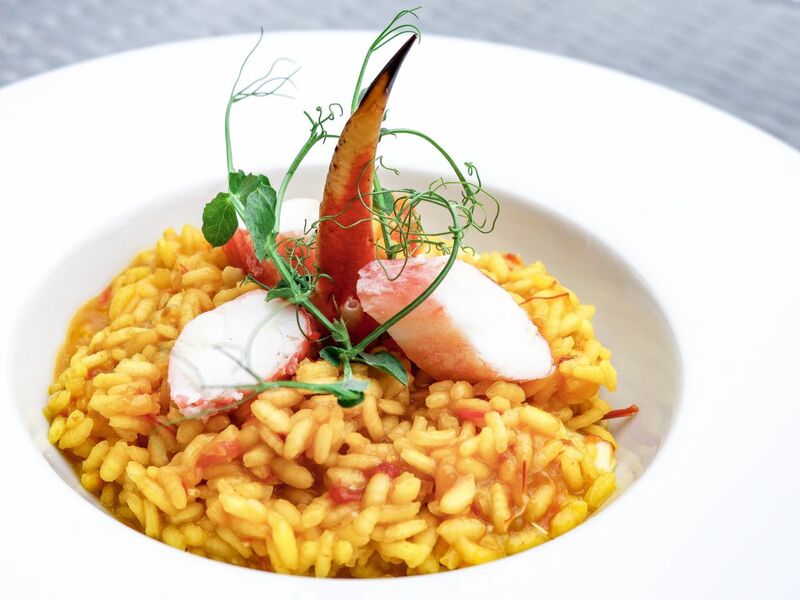 This risotto is one for a special occasion due to King Crab being about the price of a family car but it’s well worth giving a go! This recipe will serve 2. 750g Fish stock (or equal quantities of fish and vegetable stock. 1. Firstly cut all your tomatoes in half and place on a baking tray. Sprinkle over a little salt and olive oil. Cook in the oven at 120 degrees for 2 hours. You can store the ones you don’t use in a jar covered in olive oil. Put your stock on to simmer with a pinch of saffron. 2. Finely dice the shallots, garlic, chilli and about 12 halves of tomato. 3. In a pan add a little olive oil and turn to a medium heat. Add in your shallots, chilli and garlic and gently sweat until the onions are soft but not browned. 4. Add your rice and stir until the grains have become slightly translucent. Add a good splash of white wine and stir until the wine is completely absorbed. 5. Finely chop the tomatoes and add to the rice then slowly add a ladle of stock to your rice allowing each to be absorbed before adding the next. 6. To prepare the crab carefully break the legs at each joint then using kitchen scissors cut along the shell to release the meat in whole pieces. 7. Take the thickest piece of meat and cut in to equal sized bites. The remaining leg meat can be torn apart by hand in to much smaller pieces to be mixed in to the risotto. 8. When the rice is cooked to your liking stir in the shredded crab and allow to warm through for a minute or so. Check seasoning and add a little salt and pepper to taste. Finally finish with the juice of about 1/2 a lemon. 9. Dress the plate by adding the rice then top with the pieces of crab and the pea shoots. Drizzle over a little olive oil then serve.